#DIY: Turn Your Messy Unwashed Hair Into Fab Curls! Step 1 Comb your hair to make it tangle-free and then divide it into two sections right from the centre. Step 2 Now divide your hair into thin strips and use the markers to curl those thin strips of hair. Step 3 Use your straightener by pressing it on the marker to help your curls take shape. Step 4 Use a hairspray to keep those curls in place! Step 5 Run your fingers or your comb through your hair to give it some volume. Tada! You’re done! MUST-READ: Yikes! Have You Been Removing Your Makeup WRONG?! 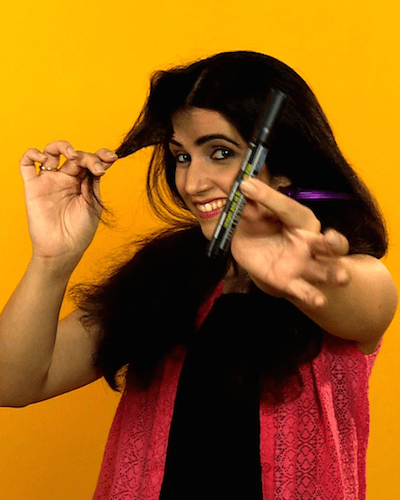 MUST-READ: #DIY: How To Get A Salon Style Blow Dry At Home!